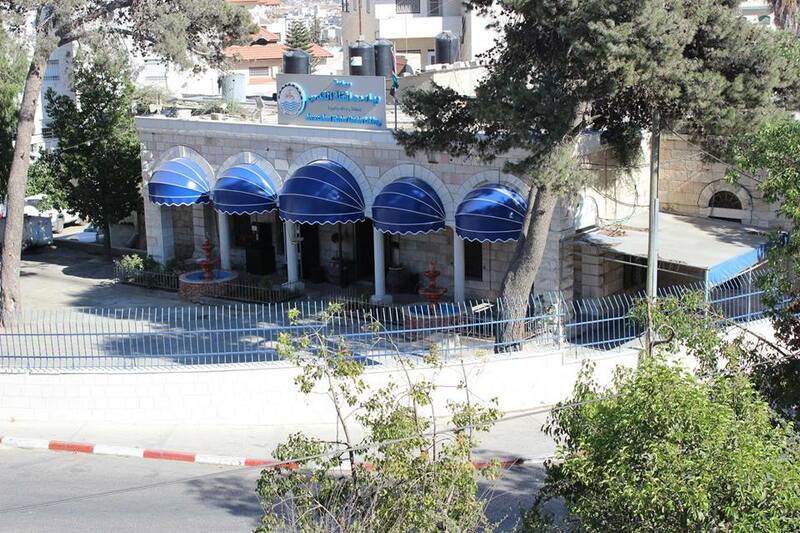 Jerusalem Water Undertaking – JWU lies in Ramallah and Al-Bireh Governorate. This Governorate includes the main province central urban area, the twin cities of Ramallah and Al-Bireh, along with other municipalities and approximately 58 villages and refugee camps. The concession area of JWU extends over 600 km2. Includes currently large significant parts of (Ramallah and Al-Bireh governorates and 10 other cities and municipalities and more than 43 villages and 5 refugee camps and the northern part of the city of Jerusalem). The number of subscriptions is about 61,835 serves the approximate total population of 370,454 people, while the rest of the sites in Ramallah and Al-Bireh governorates are supplied with water either by the West Bank Water Department service or the service is unreached yet. At early stages in 1949, the company was established by Ramallah and Al Bireh municipality councils in partnership with both companies: Masayef Ramalah and Tahseen al Bireh limited Companies. For the first time the water was provided to Ramallah and al Bireh from Ein Fara spring, once the company witnessed that Ein Fara as source of water is insufficient, Ein Qenia Valley was the alternative to start pumping water, although the well was inadequate, as result of, a company from the municipalities of Ramallh, Al Bierh, Dier Debwan and the local residents was formed; to start pumping water from Ein Samya spring that located near Kufur Malek village. Until late 1950s, the local residents of Ramallah and Al-Bireh cities depended almost entirely on cisterns for drinking water in addition to few local springs. Following the war of 1948 and as a result of Palestinian displacement of huge numbers of refugee’s migration into the area, the need to increase the water supply in the region became vital. Thus, Ramallah and Al-Bireh Water Company was established to handle this crisis. The new company planned to rely on Ein-Fara spring (North East of Jerusalem) and succeeded in concluding an agreement with Arab East Jerusalem Municipality at that time, that enables to construct a distribution network and a main pipeline for the purpose of conveying water from Jerusalem to Ramallah and Al-Bireh area. Though, the limited quantities of water were insufficient to meet the needs of the served local residents. In 1963, the Jordanian government concluded an agreement with the Agency for International Development under which got a loan of $ 5.3 million for the development of drinking water projects in some parts of the Kingdom. In this context, the Jordanian government decided to exploit groundwater resources in Ein Samia wells fields, actually 20 km to the North East of Ramallah, and began to exploit what has become recently known as Ein Samia Water Project. Pursuant to the aforementioned agreement between the Jordanian government and the International Agency for Development(IDA), has been released constitutive Act for the benefit of the Jerusalem Water undertaking in 1966 and which has been entrusted to the interest whereby a new water resource development, and supervision of all water projects in the region, as well as to provide area residents with potable water. According to this law Jerusalem Water’s Undertaking (JWU) was established as an independent institution of a status as civil non-profit organization run and overseen by a board of directors composed of representatives of the three major municipalities: Ramallah, Al Bireh and Deir Debwan in addition to a representative from the village of Kufr Malik, and an assigned official by the government. Since the occupation of the West Bank in 1967, the Israeli military authorities subjected all businesses and projects pertinent to water and water resources to its direct control through the Military Order No. 92/1967, the aforementioned order prevented any institution or undertaking from performing any work related to the management, maintenance, development of water services or resources without obtaining prior approvals and licenses from these authorities. In 1982, the Israeli military occupation authorities dissolved the Municipal councils of Ramallah and Al Bireh cities, thus disabling JWU Board of directors from performing his duties. Over the course of five years and without the board of directors, senior management faced the challenge, and took all the daily and strategic decisions in order to complete the task of interest/mission. In late 1987 sparked the Mass Public Uprising (Intifada) broke out in overwhelming the Occupied Palestinian Territories, the political, social and financial situation in the area changed, many people have become unemployed, which form an additional burden on JWU, however, JWU was able during the difficult period of the uprising to maintain its survival, and even came up more firmer. 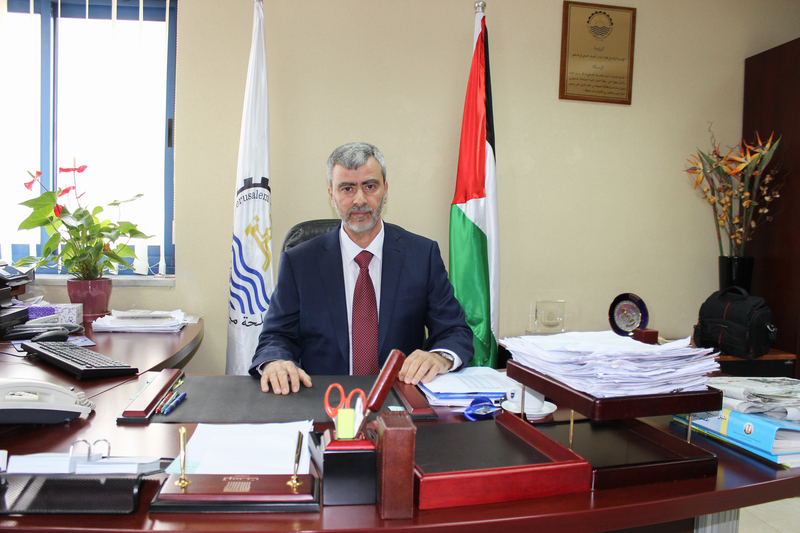 In the wake of the establishment of the Palestinian National Authority (PA), has been the establishment of the Palestinian Water Authority (PWA) ,in 1995, which was entrusted with the powers and the responsibilities of regulating the water sector in Palestine. In 1996, the representative of PWA was invited to join JWU Board of Directors for the first time since 1967. 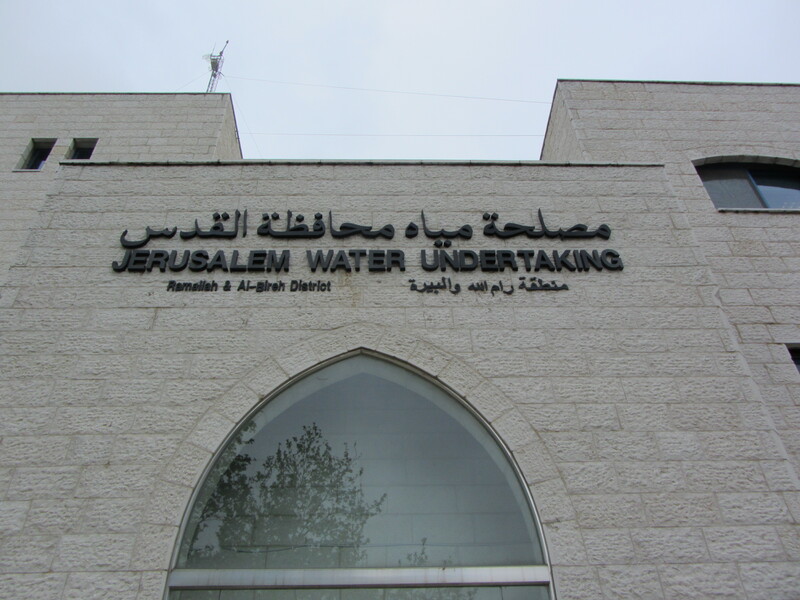 As a result of the presidential decree that changed the name of Ramallah Governorate to Ramallah and Al-Bireh Governorate the JWU’s BoD decided in 1998 to change the name of Jerusalem Water Undertaking (Ramallah District) to Jerusalem Water Undertaking (Ramallah and Al-Bireh District). In late 2015, Ein Samya wells’ production capacity did not exceed 2.7 MCM (Million Cubic Meters). However, the total amount of water supplied to subscribers reached 17.35 MCM. As the preceding years case, the deficit of 87% of the total quantities delivered to subscribers has been covered through “Mekorot” and (Gihon- The Israeli limited Companies). The most difficult problem that is facing Jerusalem Water Undertaking , As clearly reflected in the rising amount of annual deficits that have an impact on the population in the harshest summer season, JWU is looking forward to developing and utilizing new resources of water to achieve a self-sufficiency in order to overcome its dependency on unreliable external water resources. In 2014 JWU embarked the process of institutional development in order to cope with the challenges of the future, with the establishment of Customer Services Department in order to improve and provide a unique service to the public, as well as the creation of the Department of Wastewater Operations in preparation to bring wastewater services into its service portfolio within the concession area of ​​JWU.